Many blood clots don’t have any signs or symptoms — which makes it even more important for cancer patients to consider making some lifestyle changes to help prevent clots from developing. These symptom-free clots, called “incidental thrombosis,” according to Prof. Simon Noble, MD, are usually detected during a CT scan to assess the stage of the cancer tumour. On the scan, blood clots or pulmonary emboli (blood clots in the lung) may be found. 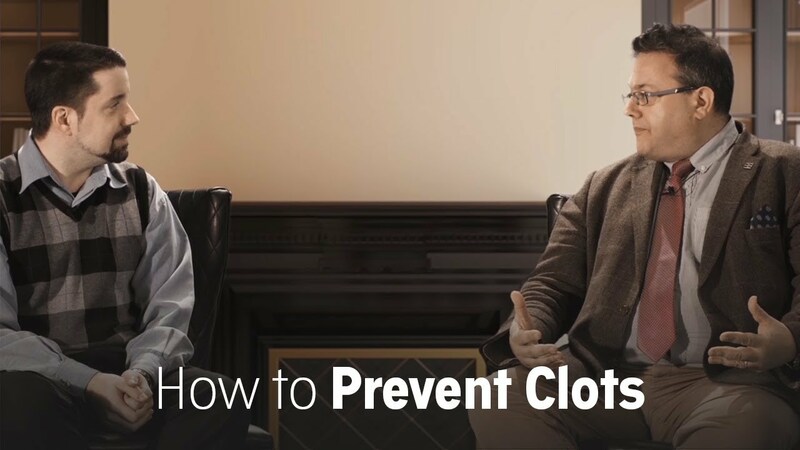 Even though a patient does not have symptoms, such clots are just as important to treat. Prof. Noble says cancer patients can minimise their risk of blood clots through general healthy lifestyle considerations such as staying well hydrated (during chemotherapy, for example), moving around periodically and stretching one’s legs. Keeping the blood flowing decreases the risk of clots forming. No marathons required! Just a brisk walk can help.